meeting will be a one-hour practice; the subsequent eight sessions will consist of a 30-minute practice followed by a game. All practices/games will be held on Saturday mornings. Our 3rd and 4th grade basketball leagues are a great opportunity for young players to develop fundamental basketball skills in a fun team environment. Leagues will be divided by gender. If necessary, 3rd and 4th graders may be combined into one league. The emphasis in these leagues will be sportsmanship, skill development, participation and fun. A smaller court, lower hoops and a junior sized basketball will be used. Score will be kept. Leagues will play 10 games on Saturday morning/afternoon beginning in mid- December. Occasionally, Friday evening games may be scheduled, if necessary. The 5th and 6th Grade Leagues provide players an opportunity to continue their skill development while introducing the element of competition. At this level we will begin to keep score, but no standings are kept. The emphasis in these leagues will continue to be sportsmanship, skill development, participation and fun. Both leagues will use a full-size court and have two referees per game. The 5th graders will use an intermediate size ball while the 6th graders will move up to the regulation ball. Leagues will play 10 games on Friday evenings and/or Saturday morning/afternoon beginning in mid-December. The 7th and 8th Grade League provides players an opportunity to continue developing their basketball skills and showcase what they have learned through the years of basketball. At this stage, game scores as well as league standings are kept. This will lead to a single elimination tournament to end the season. The emphasis in this league continues to be sportsmanship, skill development, participation and fun, but competition is embraced teaching players how to win and lose with grace. This league will use a full size court and an official size basketball. Two referees will be assigned to each game. This league will play 8 games on Friday evenings and/or Saturday morning/ afternoon beginning in mid-December plus an end-of-season tournament. 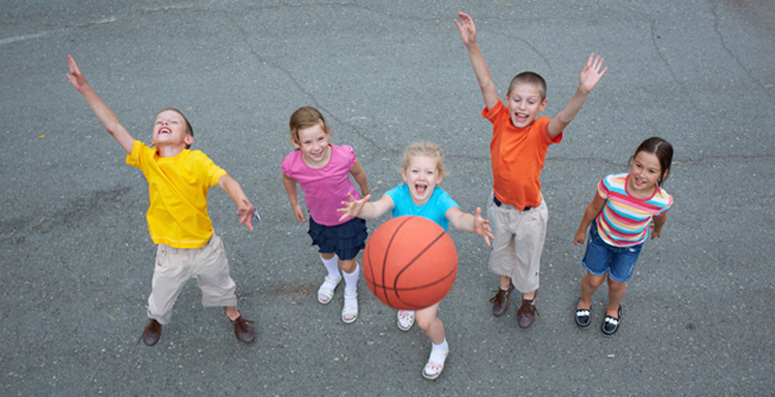 A variety of basketball programs are offered for children in grades K-8 through Triple Threat Basketball. During school spring and winter breaks, Triple Threat Camp is offered for students in grades K-6.